“If we hope to go anywhere or develop ourselves in any way, we can only step from where we are standing. 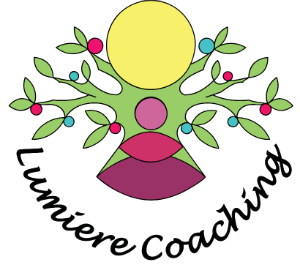 Nikki of Lumiere Coaching is also a trainer on Business Minded‘s unique online mindfulness training course, designed specifically for busy working people. Click here for further details. Mindfulness is an extremely effective, and scientifically proven, form of brain training which focuses on paying attention to our thoughts, feelings and to the present moment. By being mindful we become less caught up in worrying and ruminating, more aware of what is really happening, better able to manage our thoughts and better able to respond to the situation we are dealing with. There is a significant, and growing, body of scientific evidence which clearly demonstrates the benefits of mindfulness. Please see section below for a snapshot of just some of the evidence. Mindfulness uses simple meditation practice to help you to learn how to slow down and stop struggling with the incessant “brain chatter”, automatic thoughts and habitual reactions which plague most of us during our busy lives. Mindfulness meditation is not about wiping your mind and not thinking, indeed, when practising meditation you experience thoughts coming into your mind. A key part of Mindfulness is to recognise that these thoughts are just mental events, and to acknowledge them then let them go without judgement. Through practising this you will realise that thoughts and emotions come and go, even the negative ones, and that you can choose to react to them or not. This realisation has been shown to have a profoundly positive benefit to people’s lives, it allows you to become aware of negative thought patterns before they get out of control or tip you over into a negative or reactive state, it also gives you choice – so rather than being a slave to the “brain chatter” which can derail you from what you are working on, you can learn to choose where you direct your attention. What does Mindfulness meditation involve? Mindfulness meditation is a simple meditation practice involving training your attention to focus on the breath, whilst noticing thoughts, emotions and physical sensations as they come and go. It is not about religion, sitting cross-legged, chanting or trying to access Nirvana. It can be incorporated into everyday life relatively easily, including spending a little bit of time most days doing Mindfulness meditation, as well as having shorter “Mindful Moments” or utilising the Mindfulness Three Step Breathing Space. You could spend just a ten minutes or so in Mindful meditation, or could spend much longer if you wish to. The more you do, the greater and quicker the benefits – but doing just a little will make a difference to your life. Over the last 40 years or so psychologists and neuroscientists have conducted a vast amount of research into Mindfulness. 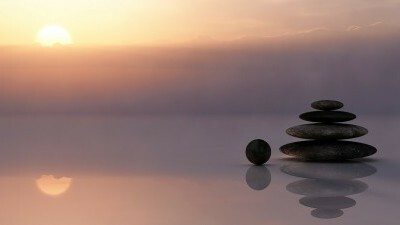 The research clearly shows wide ranging benefits of Mindfulness practice, which are valuable to individuals personally as well as to employers and businesses. Depression – studies have shown a significant decrease in relapse amongst people taught Mindfulness; studies have also shown Mindfulness is just as, if not more, effective than the use of antidepressants. Immune system and health – research has shown that people taught Mindfulness had more antibodies in their systems following a flu vaccination than people who were not taught mindfulness (suggesting that Mindfulness practice boosted the effectiveness of their immune response). Brain physiology – grey and white brain matter reduces with age, however, studies showed that long-term meditation practitioners aged c40 years had a similar level of grey and white brain matter as 20 year olds. Mindfulness has also been linked to increases in the brain’s ability to repair itself and grow neural connections. In addition, Mindfulness has been related to corticol thickening in areas of the brain associated with decision making, attention and awareness and an increase in brain size in those areas related to regulating emotions. Relationships – studies show increases in satisfaction about relationships, increased closeness, increased autonomy and reduced relationship distress. 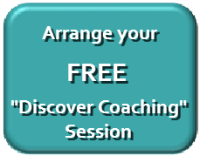 To learn more about how Mindfulness can help you – contact me to arrange a free initial consultation. Error: Error validating access token: Session has expired on Sunday, 07-Apr-19 11:10:04 PDT. The current time is Wednesday, 24-Apr-19 16:52:03 PDT.